Wearing the “QSI Honey Hat” for a moment, Arne Dübecke was discussing Mānuka Fraud with Dr. Claire McDonald, Senior Advisor – Operational Research Programmes at Ministry for Primary Industries (MPI), New Zealand. 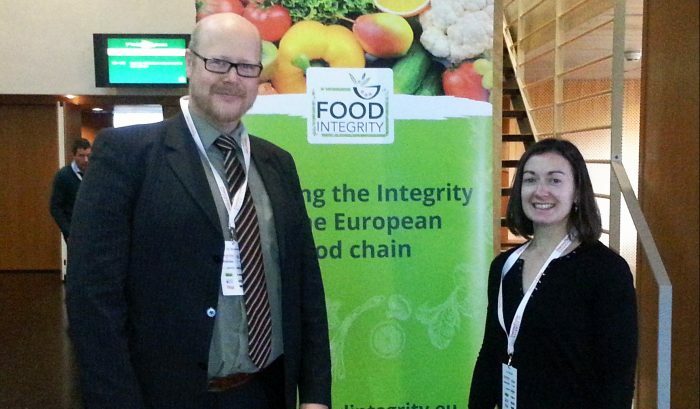 The topic falls perfectly well into the scope of the Food Integrity Conference held on the 14th and 15th of November in Nantes, France. The MPI finalized a scientific definition that can be used to authenticate whether or not a particular honey is New Zealand Mānuka honey in the end of last year. The necessity for that is easily understood as something seems to go very wrong on the Mānuka market. The UK consumption is already higher than the total Mānuka production in New Zealand, which is the only place in the world, where that honey is produced. On the other hand, the UK is not the only place where Mānuka honey is consumed. This obvious problem fueled MPI’s motivation to develop a standard in order to protect Mānuka Honey from losing its great reputation. However, there are also other sweet natural products that are often adulterated, for example agave syrup. QSI in Bremen, Germany, is using NMR-profiling to detect such adulteration in agave syrup. Concise information on that topic was provided by QSI in the form of a poster presentation at the Food Integrity Conference.